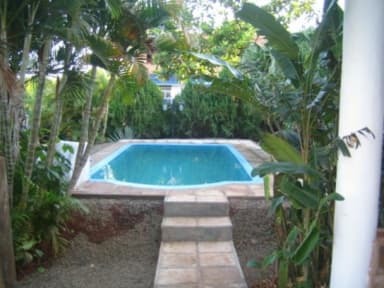 We have big gardens with tropical palms trees and hammocks, so you can really enjoy nature. Our private rooms and dorms include breakfast with fruit and cakes, and room service. All are included in the price. We have bar service, barbeque, fully equipped kitchen, T.V. 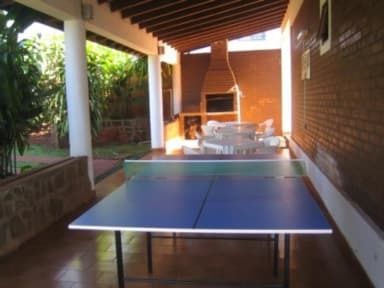 with cable, D.V.D, ping pong table, internet- WI FI and lockers. You can also make your reservations for all the excursions to the waterfalls, on the Argentinean and Brazilian side, and also, all the transfers to these places.